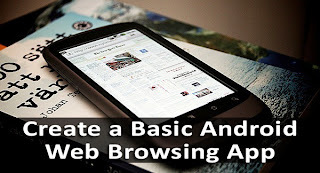 How To Create A Simple Web Browsing App For Android? Did you know that you can create a basic web browsing android app for your website with just a few lines of code? Web browsing Android apps are great if you have a nice website and you want to make your brand’s application with just a minimal amount of code. At the same time, it is a great way to learn more about Android application development, and it doesn't require a background in application development. So, in this tutorial, I will teach you how to create a basic web browsing app of your own! 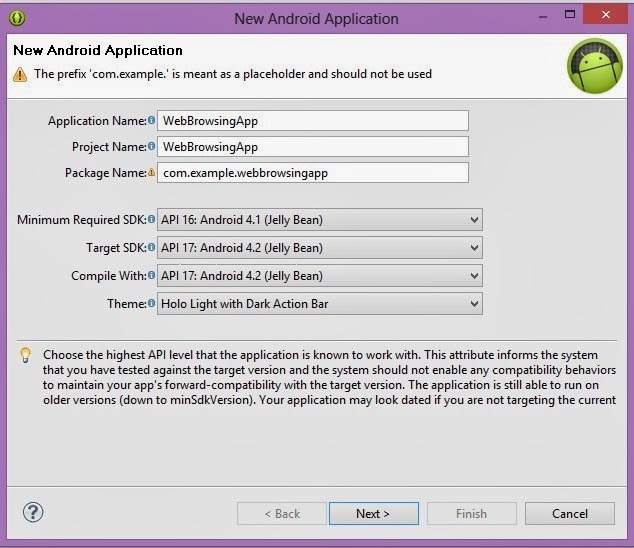 Before moving on with this tutorial you should know, how to set up the SDK and must have understanding of creating a basic Android app. Here's what we've covered so far on the subject. Just bear with this tutorial, and if you have difficulty understanding a concept, then you can go back to any one of these previous tutorials. Alright, let’s move on with the tutorial! 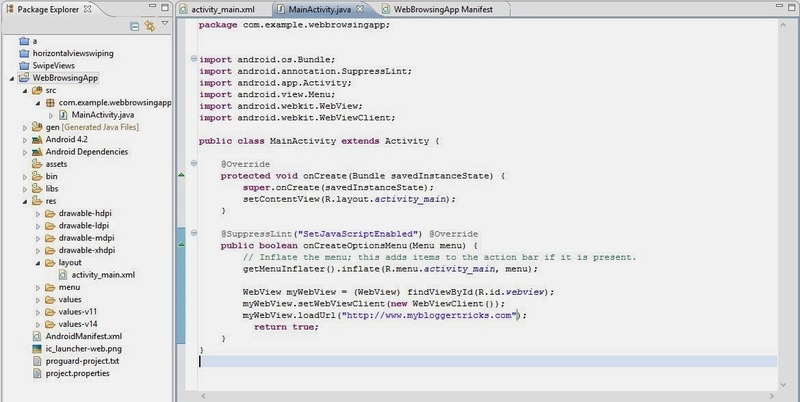 Using Eclipse create a new Android application project (“WebBrowsingApp”). For this tutorial I have selected API 16 (Jelly Bean). Basically we’ve provided internet access to our application. 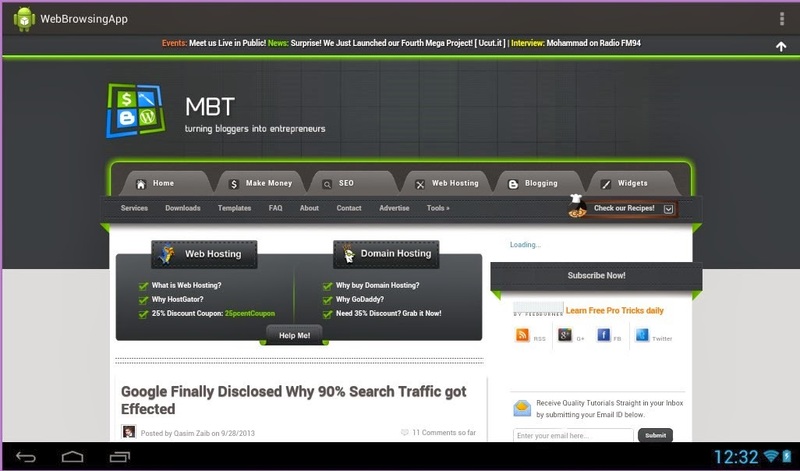 Now, it’s time to run our newly created web browsing app. 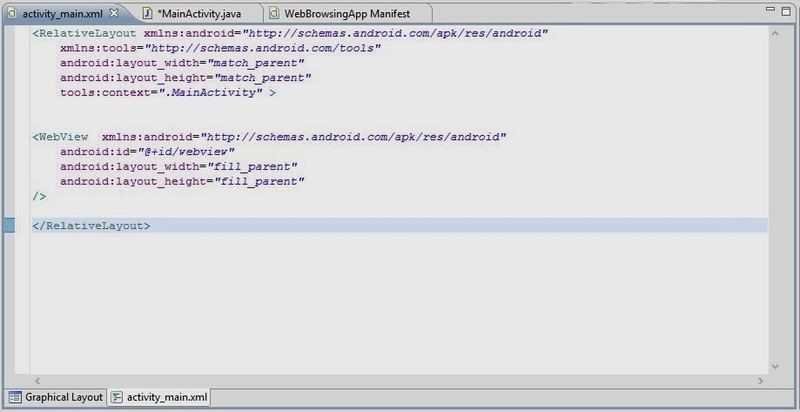 Right click Project, and select Run as->Android application. It should look something like this. Pretty simple, right? You can add more functionality, and deliver your content in a much more optimized fashion to make your app much more mobile user-friendly. Why not creating a chrome app or extention instead? Nice article Qasim! Keep it up! Can I see adsense advertorial on webkit? I have a problem. I used the above code and executed the apk successfully in my android phone (moto e 1st gen) but the browser is unable to loadUrl I specified in the MainActivity.java. What should i do to fix it? Please help.